KirkwoodGolf: GIRL BEATS BOYS BUT IS DENIED TROPHY BECAUSE SHE IS A GIRL! GIRL BEATS BOYS BUT IS DENIED TROPHY BECAUSE SHE IS A GIRL! Lunenburg High School's Emily Nash tees off during the Central Massachusetts Division 3 boys' golf tournament at Blissful Meadows in Uxbridge, Mass. Nash, who had the best score at a boys' golf tournament in Massachusetts, has been denied the trophy because she's a girl. The tournament director tells The Telegram & Gazette he made Nash aware of the rule before the tournament began. This claim has not been substantiated. The story of Emily Nash, who won the Central Massachusetts Division 3 boys’ golf tournament but was denied a trophy because she was a girl, has gained serious traction in the golfing community..
A Massachusetts high school golfer, who won a tournament by four shots, won’t go home with the first-place trophy -- because she’s a girl. The MIAA and its member schools congratulate all golfers on their performance at the recent fall sectional team golf tournament. In particular, the skill of the female golfer from Lunenburg was on display as she represented her personal ability and effort on behalf of the Lunenburg High School Boys Golf Team. The MIAA is proud to have her and her teammates participate and represent the 230,000+ student-athletes in our schools. The MIAA Golf Committee, with a membership of school representatives from each district in the state, has worked over the years to establish and manage both a boys and girls golf tournament. In the case of golf, these tournaments exist in two different seasons. The boys team and individual tournament has taken place in the fall and the girls team and individual tournament has taken place in the spring. During a sectional tournament round of golf, a golfer’s score is submitted for both an individual and team competition at each location. 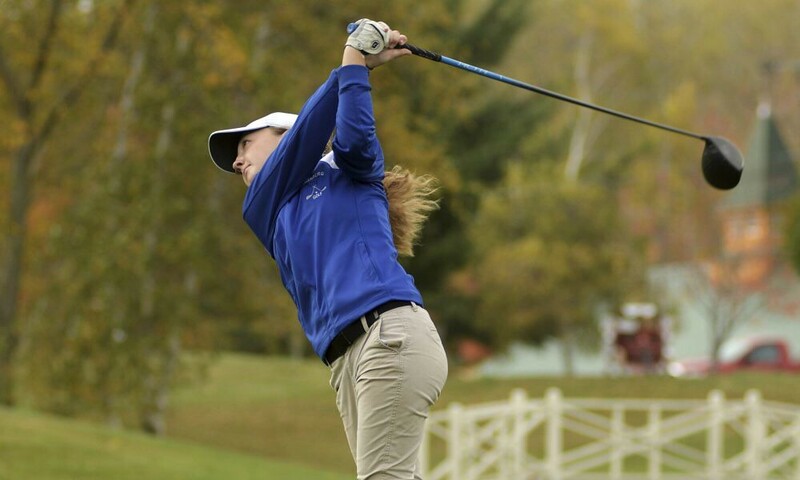 We congratulate Lunenburg’s female golfer on her performance and wish her continued success as she participates once again in the MIAA Girls Individual Golf Tournament in the spring of 2018. Well, that clears it up. But this sort of thing is typical for the MIAA, which carries a notorious reputation in the Bay State for an lacking common sense on multiple occasions. Nash shot a 75 and beat Nico Ciolino by 4 strokes. She played from the same tees. She did not receive a first-place trophy because of an MIAA rule prohibiting girls from entering the boys’ individual competition. Even worse, she will not be invited to the state championship next week. The tournament director says Nash and her coach were aware of the rule ahead of time. Nash and her father say she was not. Her school, Lunenburg High School, does not have a girls golf team in the fall and the Lunenburg ‘boys’ team did not make the state tournament. Ciolino, meanwhile, offered his trophy to Nash, but she declined. She’s far too good for anything with the MIAA’s name on it.